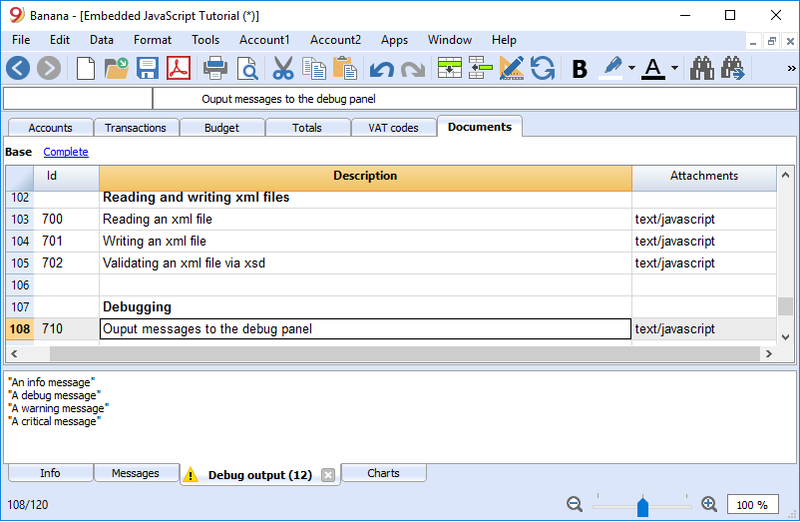 The debug panel when enabled is located on the bottom of the main window near the Info and Messages panels. To open the debug panel you have to enable the option "Display Debug output panel" under -> Program Options -> Developer options. In the debug panel you can choose the type of message to shows (only warnings, debug or info messages), click on the panel with the right mouse key and select the desired level.